Where Have All the Young Workers Gone? One of the most striking labor market changes of the last decade and a half is the declining participation of teenagers in the labor force. Nationally, teenage participation topped out at almost 59 percent in the late 1970s, and today stands at roughly 36 percent. While the trend isn’t as pronounced in Utah as it is nationwide; here, too, young people are less likely to be employed or looking for work than they were as the century began. The reasons for this phenomena are not clear. However, more after-school activities and increased borrowing to pay for post-secondary education (rather than earning while learning) may factor into this decline. On the other hand, some characteristics of youth workers have changed little. Utah teens still show some of the highest labor force participation rates in the nation. Also, young people continue to show the highest unemployment rates, the lowest wages and the top turnover rates of any age group. Acknowledging Dixie State University’s need for more academic buildings to accommodate its growing student body, before wrapping up the 2019 session last week, the Utah Legislature appropriated $50 million toward a new Science, Engineering & Technology building and $4.4 million to complete the Human Performance Center. The Kanab City Planning Commission voted to approve a building project for Best Friends Animal Society, changing the zoning from Rural Agricultural (RA) to Residential Single-Family (R-1-8 and R-1-15). Best Friends was denied on two other attempts when they tried to get the zoning changed to Residential Multi-Family. It will now go before the Kanab City Council for approval. A proposed RV park in Veyo is causing unease for a group of concerned citizens who claim the venture isn't following county code and will cause long-term issues in their rural community. Dixie State University's board of trustees have unanimously approved the addition of new master's and baccalaureate degrees, as well as minor and certificate programs to its academic offerings. A new gym slated to be built in St. George promises to combine the art of yoga with the athletics of rock climbing. The gym is called Contact Climbing and will be built on the vacant lot at 2865 E. 850 N. Street, near the roundabout just west of Costco and Sportsman’s Warehouse. The lot is also just a couple blocks north of Pine View High School. A zone change allowing a development that has drawn opposition from surrounding residents in Washington Fields due to high-density and traffic concerns was approved by the City Council. Heritage Place, which calls for multiple housing units and a patch of commercial space to be built on “the Nisson field,” was approved by the council in a 4-1 vote. It changes the area from agricultural zoning to a planned unit development. * For Utah's Economic Information only. County Pages - find economic and demographic profiles and publications for counties in Utah, including employment information, population, sales tax, and construction information. Wages and Occupational Openings Data (WOOD) - find wage information, projections data and links to other tools, for all Utah jobs at statewide and selected sub-state areas. Occupational Explorer - find employment outlook, wages, licensing requirements, jobs with similar skills, training requirements, and current job openings for hundreds of different occupations. Firm Find - search by industry, occupation, name, and largest firms. You can also download FirmFind Data. 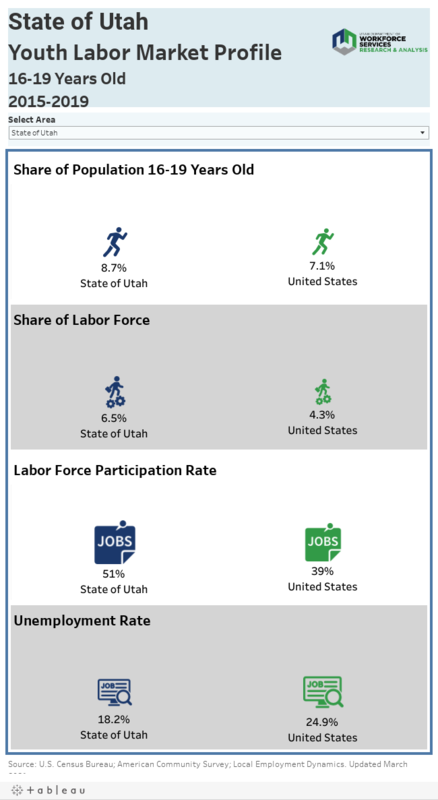 Utah Labor Force - find Utah's employment and unemployment data by county and statewide. Utah Employment and Wages - search industry employment and wage data compiled by reports that are submitted by employers to the Utah UI program. Publications - As part of a cooperative agreement with the Bureau of Labor Statistics, we provide the public with the data and analyses that we collect in a variety of mediums about the labor market in Utah. Visit our main economic information page and find all of these tools and more.